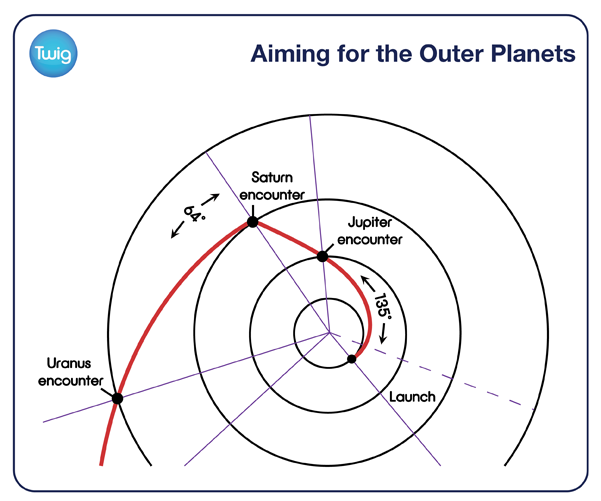 The use of direct and indirect proportion in navigating the Voyager spacecraft to the outer planets. 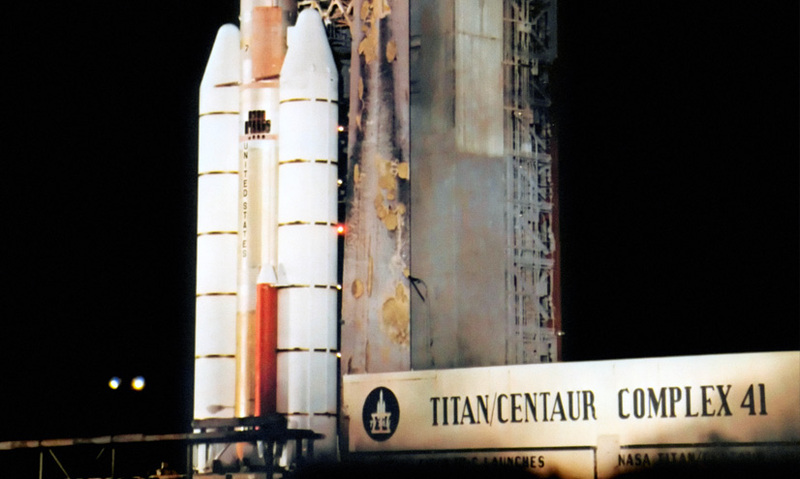 This was the moment the Voyager mission embarked on an ambitious journey to the outer planets. First stop Jupiter, then Saturn, followed by Uranus and finally Neptune. But in the 1970s, scientists could only create enough rocket power to send Voyager as far as Jupiter. They would need to use maths and physics to make it the rest of the way. Prof Bruce Murray NASA Jet Propulsion Laboratory – "The trick you use here is you fire your rocket with enough propulsion to get to Jupiter, which is after all is a long ways away, it's 5 times the distance of the sun. Go by Jupiter in just the right way that you get a gravitational slingshot effect. That propels you to Saturn, same trick, if Saturn's in the right place at the right time, which can propel you to Uranus, if Uranus is in the right place at the right time and on to Neptune, same deal." The four planets came into this unique alignment in 1977, an event that would not reoccur for another 175 years. Newton's Universal Law of Gravitation made these slingshot manoeuvres possible. It states that the gravitational force between two objects is directly proportional to the product of their masses. This means that if the distance between the objects remains constant, the force increases as the mass increases. But the force is inversely proportional to the square of the distance between the two objects. This means that the force increases as the distance decreases and vice versa. So as Voyager approached a planet, the distance between them decreased and the force of gravity increased, resulting in an increase in Voyager's momentum. And by getting the angle just right, Voyager could swing past the planet and be propelled further into space. It was this understanding of physics and maths that allowed Voyager to journey deeper into space than ever before.